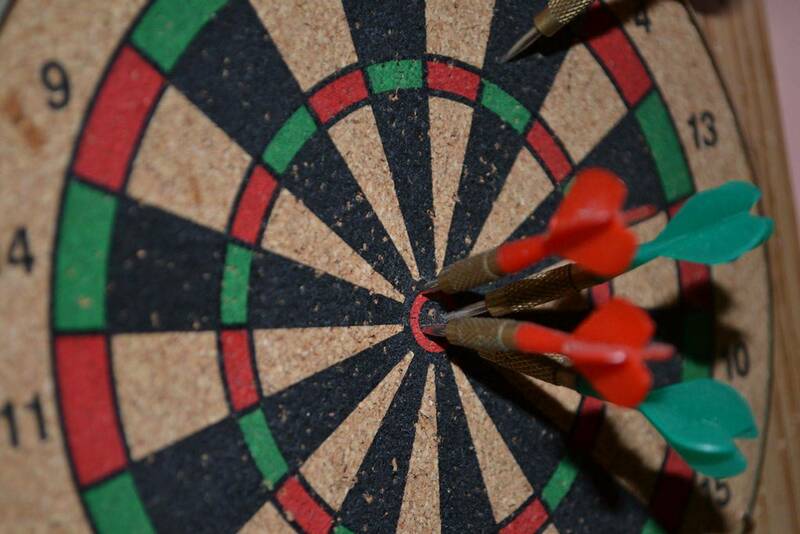 The best dartboards have the thinnest wire, so that the darts have less chance of hitting a wire and bouncing out. The numbers indicating the various scoring sections of the board are also normally made of wire, especially on tournament quality boards. The wire ring on which the numbers are welded can be turned to facilitate even wear of the board. Boards of lesser quality often have the numbers printed directly on the board.